Just﻿﻿ ﻿﻿value-based actionable content, and the tools you need to implement it. 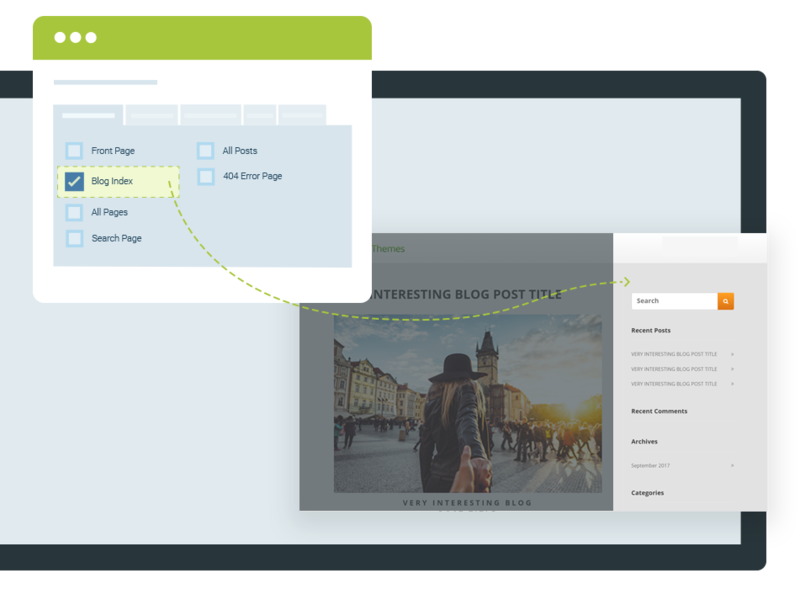 What you see is what you get: drag and drop your way to pages and posts that look exactly the way you want. Build your pages in real time straight from within the editor. I spent weeks and weeks trying to build the home page of my website and ended up with something that was barely passable as a website, and I was frustrated to no end. A few hours with this plugin and my website looked a million times better and it was so simple! 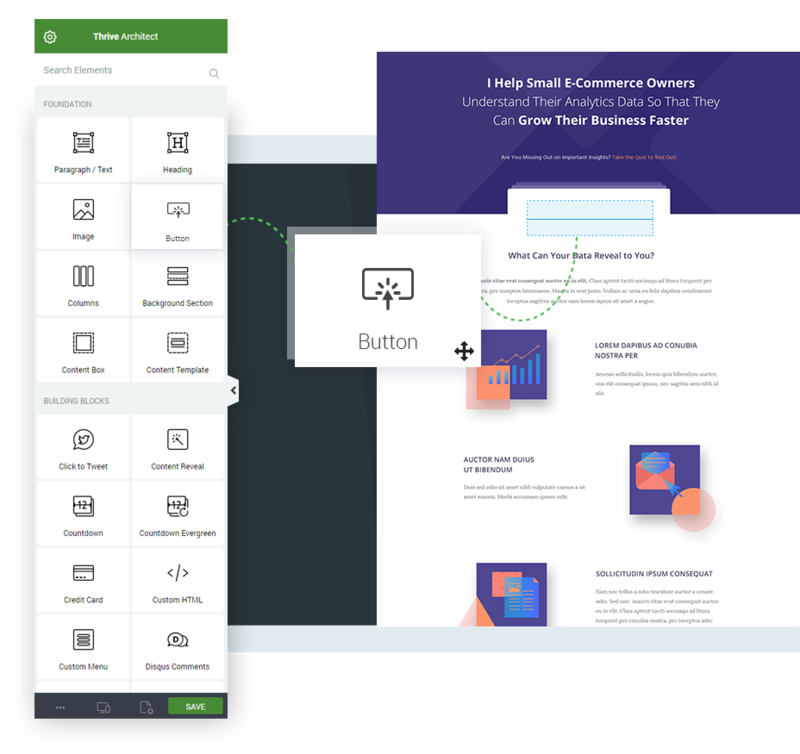 Create professional looking landing pages almost instantly, with over 220 fill-in templates for every purpose imaginable. Every page is 100% customizable so you can quickly and easily tweak our well designed templates to suit your needs. 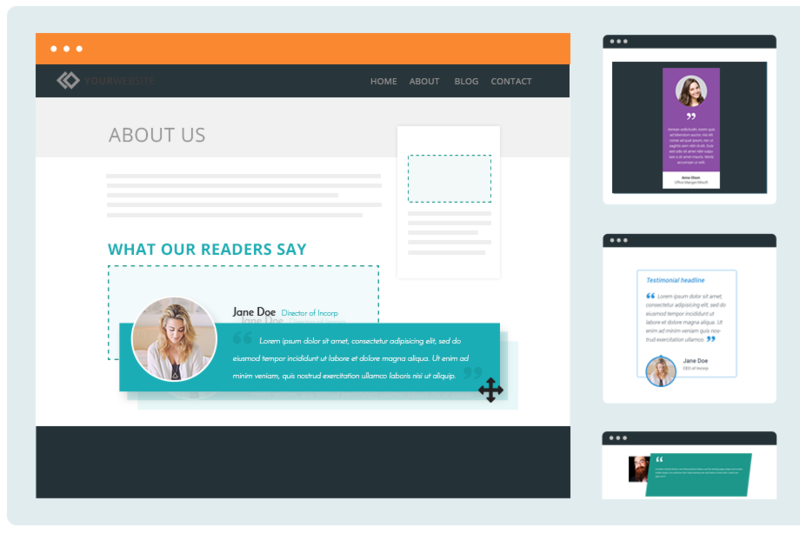 Thrive Themes Landing Pages are super easy to create and customize. The result was a beautiful landing page created and published in minutes - not hours or days. 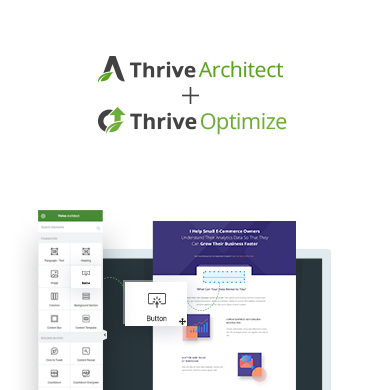 Thrive Optimize is a premium add-on (included in your membership) for Thrive Architect, it allows you to A/B test your pages from within your WordPress dashboard. No hassle and no dabbling with code snippets. 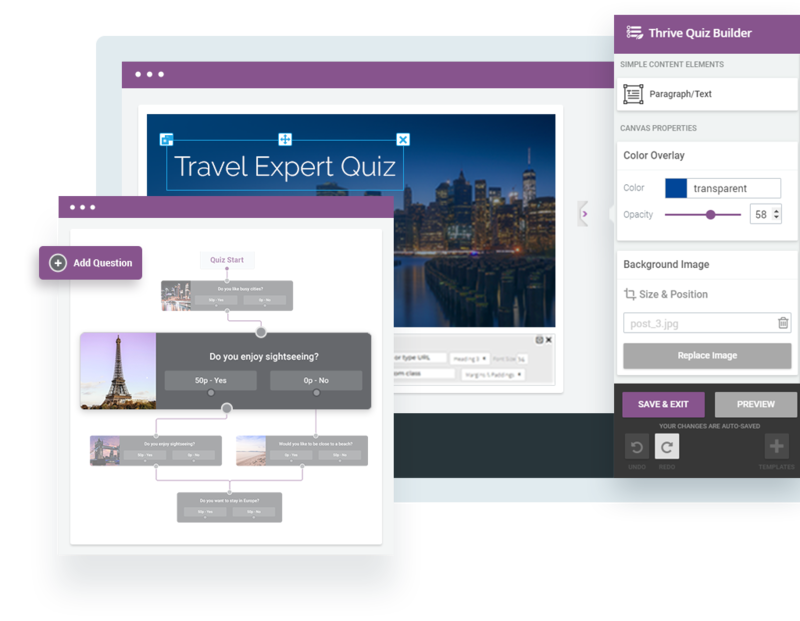 We believe this makes it the only A/B testing plugin you'll actually use! The big guys have been using A/B testing to get an UNFAIR advantage... Now it's your turn to test your way to higher conversions. ​Go from WordPress install to having a functioning site in minutes, with a selection of custom Themes designed to suit your business needs. I just love your themes and am so glad I found them. As someone who is not a designer you have made it very easy to get everything up and running. Thanks for a great framework. 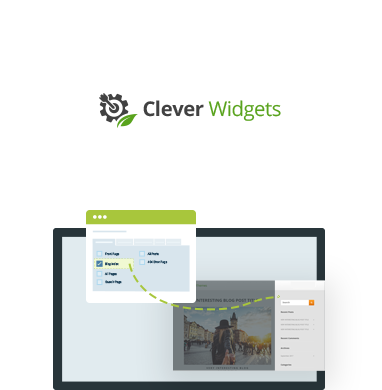 Our drag and drop builder allows you to create any type of lead generation form imaginable. 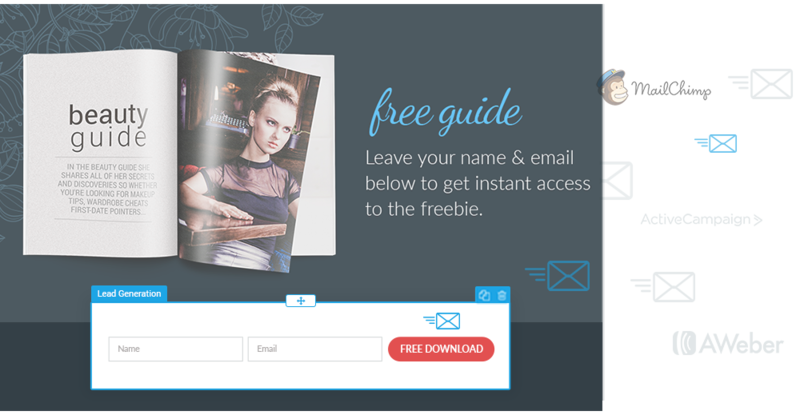 Use the huge selection of opt-in form templates or create your own. 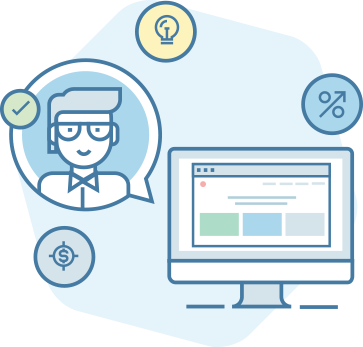 You can choose exactly which posts and pages you want your opt-in forms to display on, A/B test opt-ins, show different forms based on new visitors vs. subscribers, and much more. Love the simplicity of design but with the multi-usefulness of function. Thanks for continuing to provide new ideas for lead capture. You guys are the best. 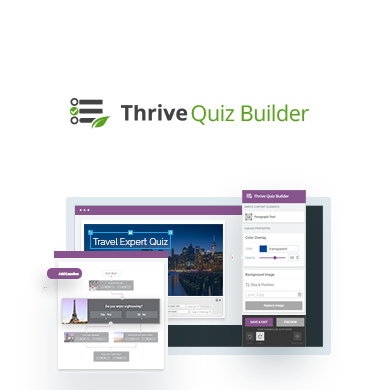 Thrive Quiz Builder allows you to engage with your visitors, gives insights through easy to digest reports, spikes traffic through social shares, and increases subscribers through laser targeted opt-ins tailored to a visitor’s quiz answers. This is so powerful! Seriously guys, this is worth the membership cost alone! Use the “fear of missing out” to boost sales. 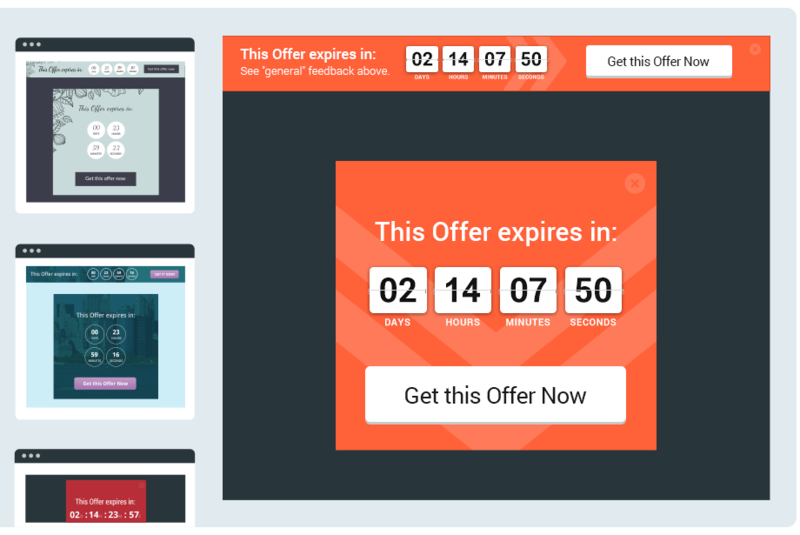 Add dynamic countdown timers to your site, or use our bulletproof system to offer discounts to new subscribers or existing lists. 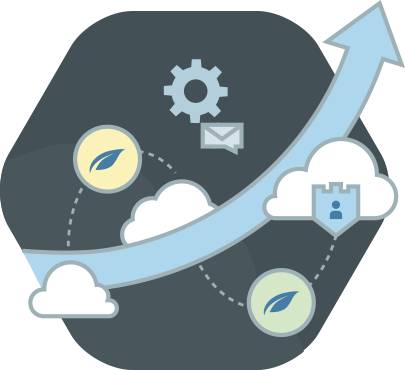 Get consistent spikes in sales with automatically recurring promotions. Brilliant! You have taken “scarcity” to a whole new level. Love the fact that potential customers will not be able to cheat the countdown. Next time I have a sale they will think twice. I also thinks that it adds a lot more credibility to what you say overall on your site. No B.S. Wondering how we got all the perfectly suited testimonials on this page? Our secret weapon is Thrive Ovation. Our set and forget testimonial collection and management system makes publishing quality testimonials all over your site almost automatic. The opportunity now to direct them to a dedicated page with a customized capture form specifically for each of the services I provide is bloody AWESOME! 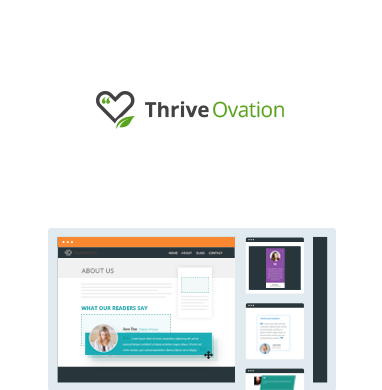 It is so simple to integrate Thrive Ovation into each site and the level of customization is off the charts. Display targeted sidebar content based on different blog post categories. This ensures your website shows the right content to the right people, maximizing visitor interaction and engagement with your site. Awesome! I was using the Sidebars plugin which does something similar but your plugin looks way simpler and more powerful. Less work for me as I only have to set the settings on each widget - instead of creating different sidebars which often will have common widgets. Creating clickable headlines has nothing to do with skill, it’s all about testing. 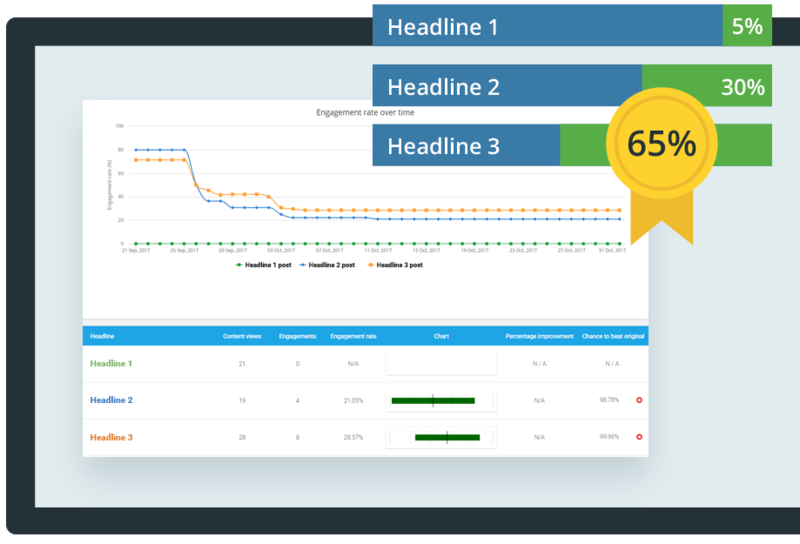 Thrive Headline Optimizer allows you to test different blog post headlines, product titles and sales page hooks with just one click. 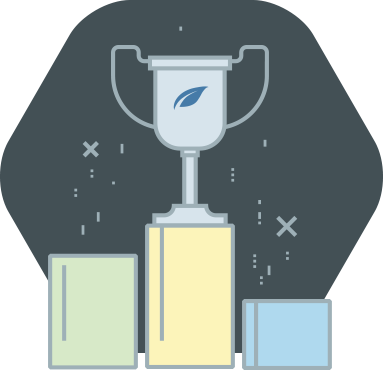 The automatic winner settings will set your winning headline in place automatically. 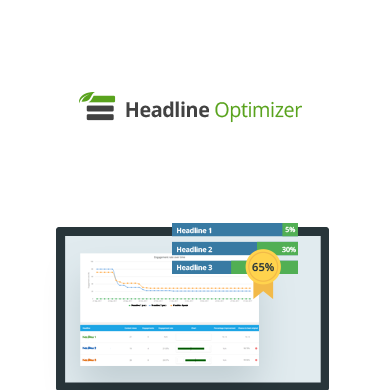 I am a Brazilian publisher and I just bought your headline optimizer product. I normally don't write feedback because I don't have time but your product is so FU*...GREAT that I am full of stuff to do but investing 3 minutes to write thank you. All the best and keep up the good work! Yes, I Want Instant Access to All of These Plugins! 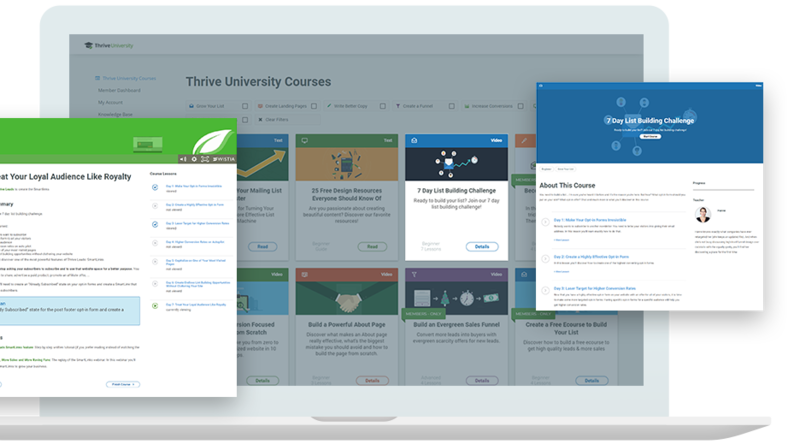 Create pro-looking courses straight from your WordPress dashboard. 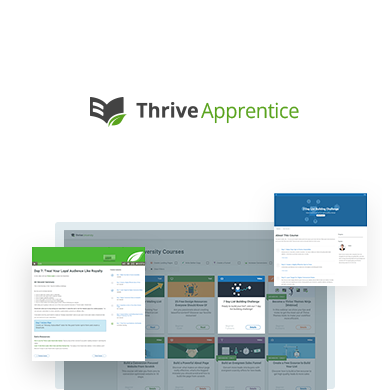 With the power of Thrive Apprentice you can boost your subscribers by quickly creating free online courses as lead magnets, or when used with your membership plugin, create paid courses that integrate seamlessly with the rest of your site. Wow! A brilliant intermediary step between general content and a full membership site. I see this as enhancing engagement and getting more people into my paid courses. Thank you! 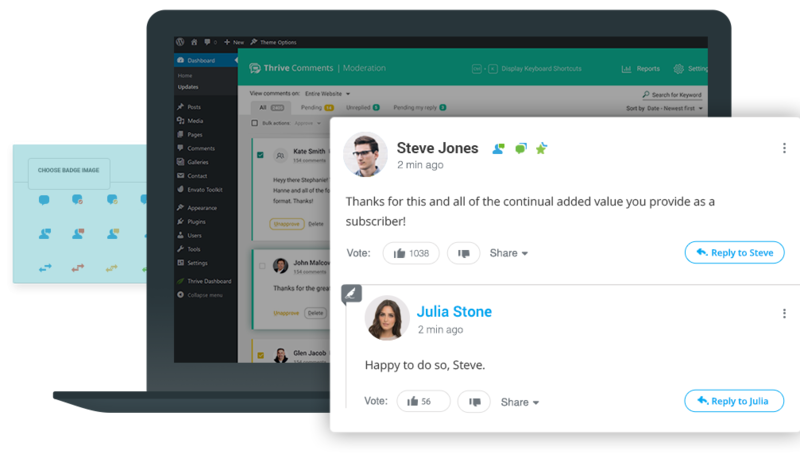 Thrive Comments is a fantastic new plugin, and I really appreciate how you focus on long-term fundamentals (that also provide immediate value). Elegant and powerful, based on strong marketing fundamentals as ever. We want you to grow with us. As a member you’ll get instant access to all of our future plugins, keeping you at the forefront of the most important WP internet marketing tools. Almost on a daily basis, you restock my arsenal of business weapons with the latest technologies. Your company’s service philosophy serves as a role model for all of us as we build our own companies. We don’t just throw out a plugin and let it slowly die on the interwebs. Every one of our plugins is constantly updated, so you don't have to worry about outdated plugins breaking or breaching the security of your site. 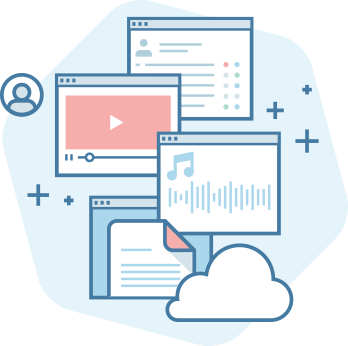 Our comprehensive Knowledge Base is like a searchable instruction manual, with tutorials on everything you'll ever need to know to use our products. If you ever get stuck, you just have to send us a message and we'll get you unstuck. Our support forum allows you to ask us your specific questions directly. I had to take a minute and praise the support team at Thrive. 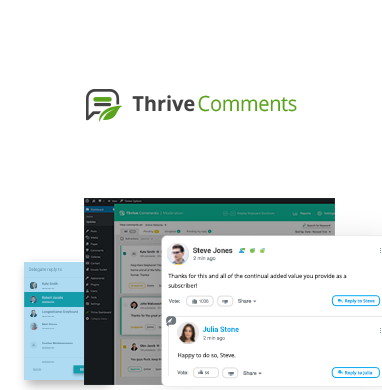 I have been working in IT & Web for over 20 years and the support at Thrive is as good an experience as I have ever had, and I am comparing Thrive to companies such as SAP, IBM, Microsoft, HP, DELL, CA. Our goal is to help our members succeed. That’s why we’re running 100% value based webinars designed to help you get the most out of Thrive Themes tools in your online business. I purchased Thrive Themes a month ago and it has been the best investment not only for my website but my sanity. Really enjoy the actionable teaching material, too. Thank you! 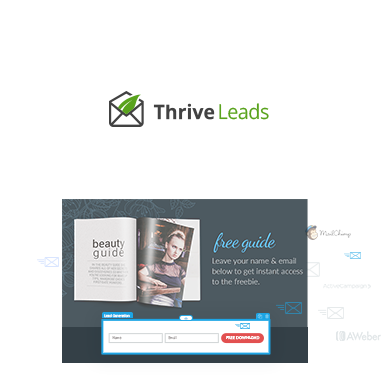 Want the Thrive Team to check out your website and give you feedback? 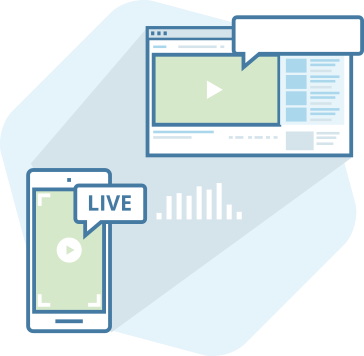 We’re also doing regular website reviews where we suggest improvements to submitted sites, either through blog posts or live webinars. What an absolutely valuable review and editorial. There are concepts here that "consultants" and skilled experts or professionals can use on their sites. I know I will! Thrive University is home to no-fluff, immediately actionable marketing courses made by our very own marketing experts. 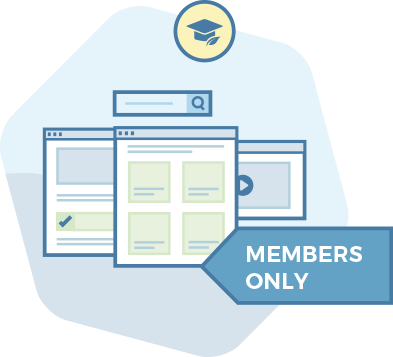 We’ve reserved access to our most valuable courses for our members only. The Thrive University lessons have been invaluable. I find myself constantly referring back to the classes, learning something new each time. I now look at every homepage, landing page, sales page and website with a completely different outlook. I can build that now, and maybe a little better. If you like the Thrive Themes Blog, it’s about to get a whole lot better. Members get exclusive extras like the templates from our Landing Page from Scratch videos, additional guides, checklists and bonuses. This will help you apply the advice directly and immediately to your business. Simply marvelous. This style page is the hottest and most up to date used on the internet today! Thanks for the downloadable file of the page you just created also. It will save me time and be an awesome addition to my sales funnel. Use all of our plugins & themes on 25 of your own websites. Use all of our plugins & themes on 50 of your sites and clients’ websites. If﻿﻿﻿﻿﻿﻿, for any reason, you don't like our membership, you can get a full refund anytime within 30 days after your first purchase. If you have any issues, just get in touch with our friendly support team and they'll either help you out until you get the results you need or give you a swift refund. 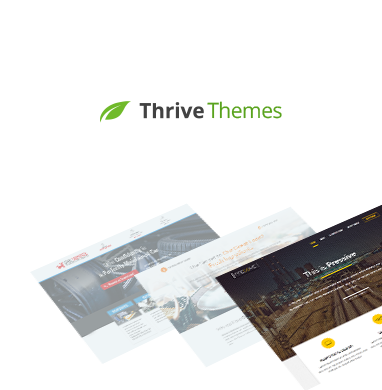 Thrive Themes plugins really are best in class in terms of regular updates, ease of use and just the overall functionality. But they should really just go for the membership because otherwise, they'd be missing out on one of the absolute best all-in-one solutions for websites available anywhere. Thrive Themes is literally one of the most valuable apps/services/plugins that I use in my business. The amount of improvements that are regularly pushed through are insane. Thrive Themes has replaced about 5 other apps/services that I was using and has consolidated into one amazing solution that covers all of my needs. Before becoming a Thrive Themes member, my biggest struggle was getting my website to look the way I wanted, without having to figure out coding and getting different plugins to play nicely with each other. I tried a couple of themes before that were supposed to be drag-and-drop easy to customize, but they turned out to be harder to use than I expected. And to achieve the look and functionality I wanted, I had to purchase additional modules. 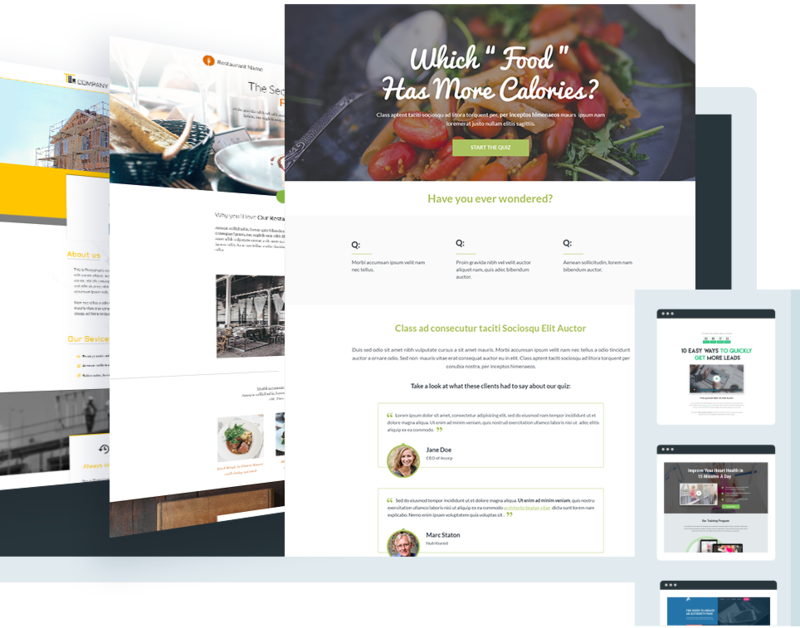 I would recommend the Thrive Themes membership to anybody who wants to have a conversion-optimized website, primarily because you get so much functionality for one small monthly price. And the team is always adding more great stuff. At the same time, you get exclusive training to help you make the most of all the themes and plugins that come with the membership. And the customer service I've received from Thrive Themes has been prompt and helpful. Seriously, I've never had so much fun building my website and making it better and more responsive to my visitors. Yes, I want to join 19,225 happy Thrive members today! 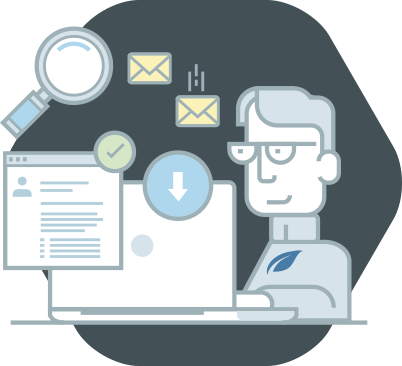 Integrate with Campaign Monitor for email marketing & email delivery. Yes, I Want Thrive Membership Today! What does the Thrive Membership include? Is this a one time price or recurring fee? The membership-price is an automatically recurring yearly fee. If you raise the price, will my subscription price stay the same? Absolutely. The price you join with is the price your subscription price will remain at. Yes, we have an excellent support staff and we will gladly help you resolve any issues you might encounter. As a Thrive Member, you have unlimited access! Will Thrive Products slow down my website? Does the 100% satisfaction guarantee apply to every recurring payment? If, for any reason you don't like our Membership, you can cancel your subscription and get a full refund within 30 days of your first purchase. If after that you decide not to renew your subscription, please take care to cancel your membership before recurring payment is due! Can I use this to build my blog? Does this work with WordPress.com blogs? No, unfortunately not. Our tools are only available for self-hosted (wordpress.org) websites. What happens if I don't want to continue my membership? 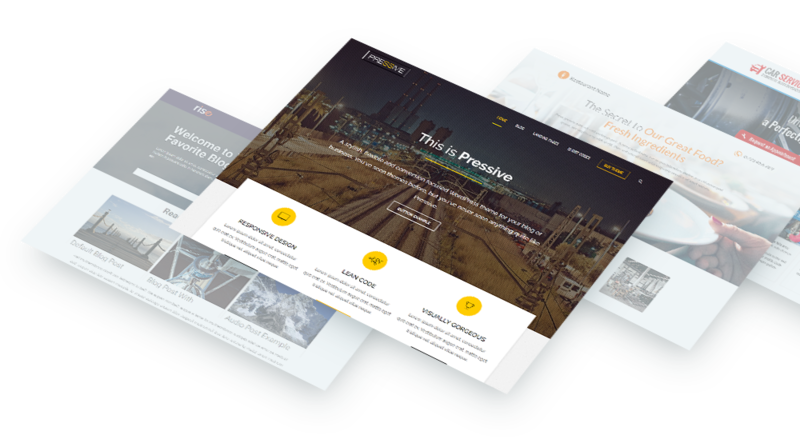 Your website will remain intact as far as Thrive Themes products are concerned. We won't remotely deactivate the products or anything like that. You'll receive bug fixes and small updates for the products you have installed. Obviously you won't be able to download any major updates or new products. Your support will end with your membership. Can I buy more licenses? Yes. Upgrading the number of licenses is possible. I already own several Thrive-products. Why do I need a membership? If you only need the one product, are fine without support, without new updates, and want to gamble with the price increases in the future... you're good. Do you need a membership? Probably not. Is it a smart, financially grounded decision that will ensure a carefree WordPress website for years to come? You tell me. You guys rock! I would have to say that everything you promise you deliver. I have purchased several plugins and software application, and after time the developers drop the ball, but you guys keep making it better and better. We're ambitious and we develop at a faster pace than anyone in this industry. You think the Thrive Themes product line is impressive now? Imagine what it will look like a year from now. Or two years from now. As our tools improve and as we add more products to the Thrive Themes product line, the membership price will inevitably go up. As it already has done. Several times. Become a member now and in the not too distant future, you'll find yourself using an advanced suite of WordPress tools for a fraction of the price others are paying for it! Become a member now and lock in your advanced suite of WordPress tools, for a fraction of the price others will be paying for them in the future! Yes, I want to secure my low priced membership today! Thanks for the course! It seems that when I purchased the Thrive membership I got a lot more then just a themes and plugins! 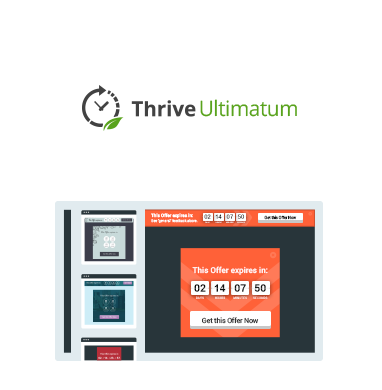 I found out that the Thrive membership is like a real internet marketing University! I think your no-nonsense approach to WordPress/Web design is truly refreshing and your presentations are full of FACTS not WAFFLE. You cannot charge less for your service that includes Thrive products than those products cost (e.g. a site setup fiverr gig that includes a Thrive plugin installation is not allowed).